Says Chota: “Sometimes you need a hip wader, sometimes you need a knee-high wading sock, and at other times you need ‘something in between. 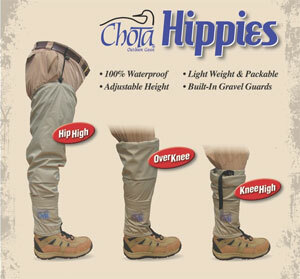 '” The new Hippies Adjustable Wading socks are a follow-up to 2011’s novel knee-high Caney Fork wading socks. Find a Chota dealer near you. More mentions of Chota on MidCurrent.